America's source for family, friendly, fun! Kidsdance is America's interactive DJ service for kids! Kidsdance performances are receiving rave reviews among community leaders, principals, teachers, parents and kids alike. We do the work, you get the credit, and the kids have a lot of fun - Imagine That! Kidsdance, The right DJ's for every event! America's most talented DJs are coming to school activity nights, church bazaars, city festivals and the best house parties on earth! 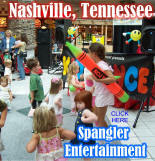 Kidsdance helps define your event as a family extravaganza. Why are family-friendly company parties the hottest new trend? 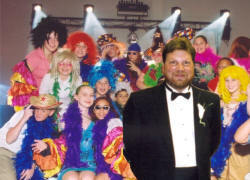 Theme parties help make your Kidsdance show a fun and different experience each and every time. 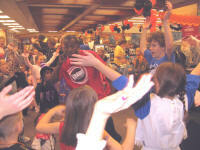 The Kidsdance theme page lists the most popular theme dances with tips to create a better dance. Now you can even download FREE Promotional Posters to help announce your upcoming event! Kidsdance, a marketing / promotional tool? What's Kidsdance doing in the frozen food section of your local grocery store? Marketers have searched for ways to breakthrough the clutter of traditional advertising to reach their target audience. How about an innovative unconventional way to command attention from your demographics? Kidsdance creator, Howard Walstein, has fine tuned a pro-active entertainment formula from his 30 plus years of DJ experience. He's been a warm-up DJ for Chuck Berry and Chubby Checker. 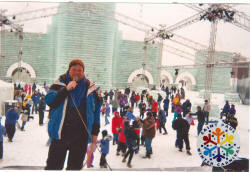 Howard has performed for thousands of people at the Metrodome in Minnesota or for groups as small as 12 people. He teaches DJs performance skills; such as the importance of pacing and how to read an audience to “lock-on” music and activities selections for a successful event.